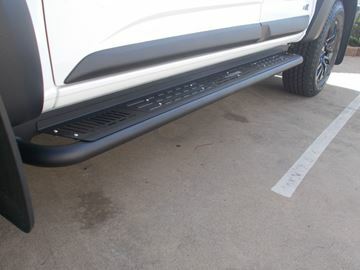 Kingsley Side Steps are a great product. 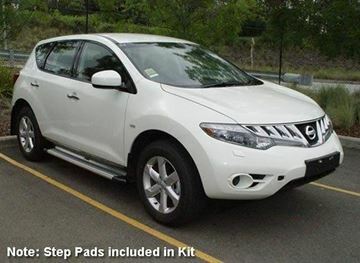 Each sidestep is designed to be vehicle specific, to ensure a snug fit. This means the sidesteps runs the full length on the sill, protecting the side of your vehicle from loose stones or mud your tyres might flick up. 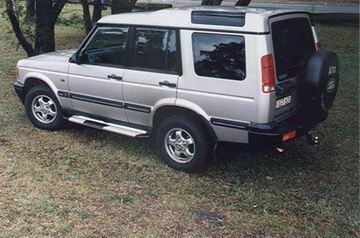 Side Steps are a great support when getting in and out of your vehicle. 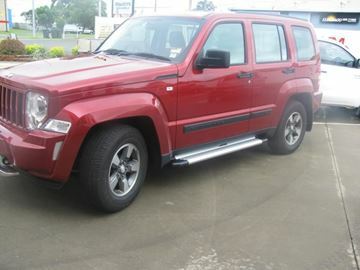 Kingsley integra sidesteps to suit Jeep Cherokee kk, side protection as well as offering a step to assist to climb in the vehicle, call for a quote for your vehicle today! 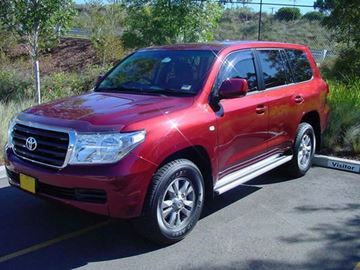 Kingsley standard sidesteps to suit 2012 Toyota Landcruiser LC200 wagon, call for a quote today!!! 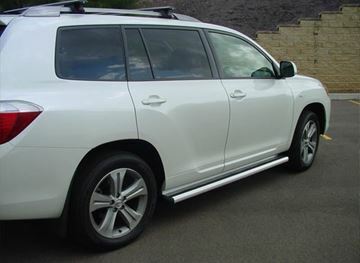 Kingsley standard sidesteps to suit 2011 Toyota Kluger wagon. 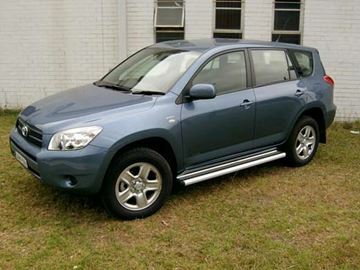 call for a quote for your Kluger today! 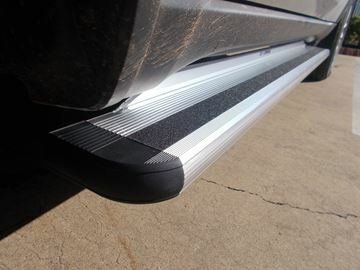 Kingsley standard sidesteps to suit 2012 Rav 4 wagon. call for a quote for your vehicle today! 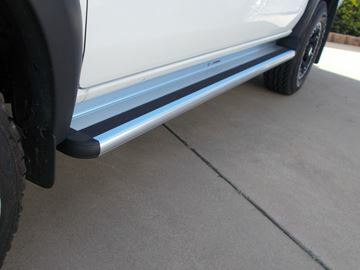 Kingsley stepboards to suit Jeep Grand Cherokee gives side protection as well as offering a step to assist to climb in the vehicle, call for a quote for your vehicle today! 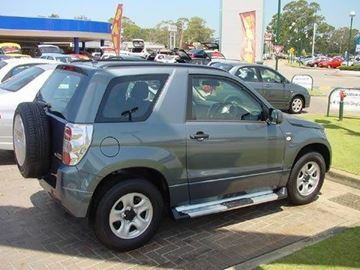 Kingsley stepboards to suit Mazda BT50, side protection as well as offering a step to assist to climb in the vehicle, call for a quote for your vehicle today! 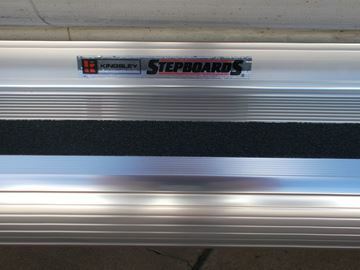 Kingsley stepboards to suit D22 Navara, side protection as well as offering a step to assist to climb in the vehicle, call for a quote for your vehicle today! 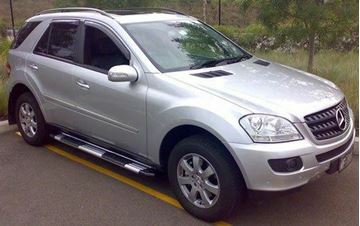 Kingsley Integra sidesteps supplied and fitted to ML320 Mercedies wagon. Call for a quote for your vehicle today!